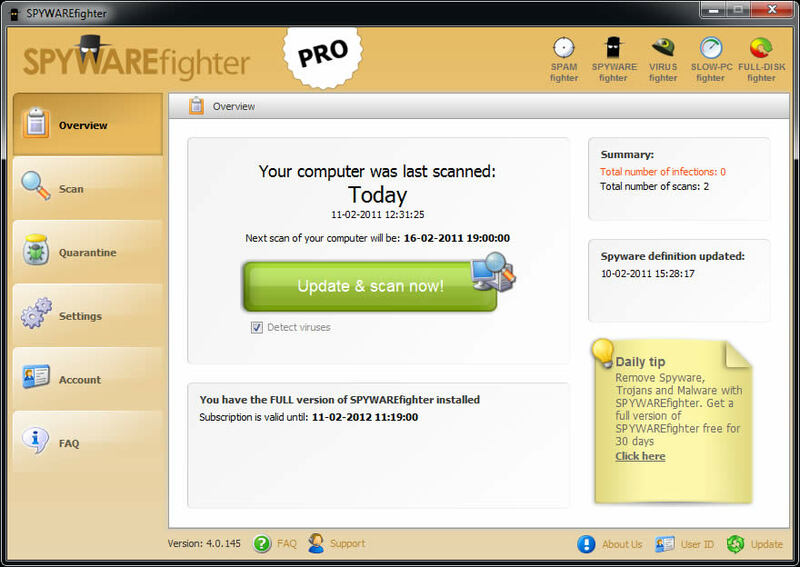 SPYWAREfighter is your protection against spyware, adware and other unwanted software. 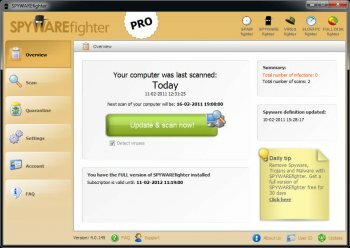 SPYWAREfighter uses a security technology that protect Windows users from spyware and other potentially unwanted software. Known spyware on your PC will be detected and removed. This reduces negative effects caused by spyware, including slow PC performance, annoying pop-ups, unwanted changes to Internet settings, and unauthorized use of your private information. Continuous protection improves Internet browsing safety by scanning for more than 220.000 known threads.